Because the board is a one piece board, it is a quick set up. Also the “stones for Jerusalem” add another way to end the game. The king’s blessing is a two point card for the player who has built the most “stones for Jerusalem”. The artwork on the development cards is beautiful. Game play is only slightly different than Settlers games, with one difference that if you tie a player for “longest road”, the 2 point card goes back to the bank. The same with the “most priests” (same as largest army), and “kings blessing”. (In the original settlers rules, the player currently holding onto one of these 2 point cards, keeps it unless someone has more (roads, or knight cards) than they do. The only drawback is that the numbers on the board are static too. I wish they had separate numbers so that the board was at least a little different each time. After a while, people begin to play strategies with this board, try to get the matching 8’s (8 brick and 8 woods) or the 6’s. One way to counter this is to use a set of number disks from a settlers game and put them over the numbers on the board. All in all a fun game with a Biblical feel and theme. My first settlers game! If you need to build to a city where the track is already built on by another player, you can spend a train card for the first station and place it on the last city you are built to and then from there to the next city is counted as yours for the purpose of completing a ticket card. This portion is not counted in your total number of tracks for the longest track. If another player built to the next city too, you would have to place two stations, as each station just allows you to use someones rails to the next city. So if you playing with two or three players, where you cannot use both tracks of a double track, you can still complete your ticket card with stations. Note: The first station costs you one train card, the second two train cards, and the third three train cards. These sets of two or three cards do have to be the same color. There are also ferries and tunnels. Ferries go across the English channel and the Mediterranean Sea and require one to three cards of one color and one or two locomotives (wild cards) to use. Tunnels are like other track except they are rounded with “notches” on the outside and these may require extra train cards of the color you are using to build your line. You declare what color you are using, and lay the cars in the discard stack. Then turn up the three top cards of the draw pile of train cards. For any of those three that either match the color you are using, or are a locomotive wild card, you need an extra card of your color to build your tunnel. If you do not have the extra train cards of that color, you cannot build this turn. You get your color cards back, since you didn’t build, and play resumes with the next player. When one player has two or less train pieces left, all players are on their last turn. While I thought the game was well done, the instructions could have been a little simpler. I have played this game twice, the second time with friends that had played it once before. They didn’t fully understand all the rules and the one time buildings, they were playing their effects every turn, until I pointed out that they were for one use only. The rules were not that clear on many of the concepts. For example, I was wondering how you get glass and brick until the game was into the second building phase. I couldn’t find it in the instructions on how you get glass and brick, until I read again about the production wheels. I missed out on a lot of glass and brick. My wife played it with us at that time, and she thought it was very unclear, and she is a retired high school teacher! Once you know how to play it, it plays well, and I like that dice are not present in the game. The only luck involved is whether or not you can get the building you want before someone else snatches it. This expansion adds Panther tanks for the Germans, (first introduced in the Normandy expansion), and Kv-1, T-34, and Su-122 tanks for the Russians. Maps and Map overlays allow for summer or winter battles. I would have liked to seen more winter road map overlays to finish the roads, Some scenarios I’ve seen use winter balka tiles for road tiles. A few more winter woods hexes would have been nice too, I’ve seen a couple of scenarios that use winter swamp hexes for winter woods hexes. I like this expansion a lot and find it to be the most versatile. With it, you can design Summer Russian scenarios, Winter Russian scenarios, Battle of the Bulge scenarios, and Finnish Winter War scenarios. I have already designed a Battle of the Bulge scenario, and there is an available Finnish Winter War scenario on the web. There are a few optional rules with this one that may make it a little more difficult that the original game. Sabotage and Ammo types for tanks add a little to the game. I have yet to play the ammo rules, but they have now been included in the Next Wave base set. If you like armor, this is the expansion for you. If you like combat in the winter, here you go! This expansion adds British troops and some good armor, the M-10 tank destroyer, Stug III, Jagdpanzer IV, and Panther tanks. Plus maps and overlays that add hedgerows, Beaches, Bunkers, and more. The weather system is great for adding changing weather to your game. Leadership decks add more variety to your game, based on your leader. Many scenarios can be made from this expansion. There are a few scenarios on the internet for this expansion, and the campaign rules also add a lot. You can have multiple games where your units can advance through scenarios. This is a great expansion for any player. Other rules add to the game like destructible buildings. This is one of the least expensive expansion. This is a book of scenarios from game designers! Each scenario includes a background on the designer, historical material on the battle in the scenario, and background on the scenario itself. Most of the scenarios can be played with just the base or “next wave” set. Some can be played with the base or “next wave” set and a few other pieces that you get from the “Days of the Fox” expansion, or that you can add yourself. Like the “Road to Oosterrbeek” scenario. It requires British army pieces, and a Panzer III from DOTF (Days of the Fox). I took a Panzer III from my 1:144 miniatures, and counters from the base game (turned upside down) and you can use good “ole” green American army pieces to stand in for British. In this scenario, none of the map or map overlay pieces are from DOTF. There are enough scenarios that can be done with just the base game or Next Wave, to keep anyone happy. Plus, if you have DOTF, there are a couple of scenarios from that expansion. There is an Eratta sheet available from BGG (boardgamegeek) because a few scenario maps left out command markers or victory point markers. I printed off this errata sheet and put it in my book. This book of scenarios is well worth it, if you ask me. I started out playing Memoir 44 and have written over sixty scenarios for Memoir. But then my wife bought me Tide of Iron for Valentines Day! I really liked the snap together squads and bases, and the mechanics of play is more strategy and less luck induced. I also liked the ability to activate all of your units in a game turn (or round, as it’s called in TOI). The operations cards may modify your units, or terrain, but they don’t have anything to do with which units are activated. The strategy decks give reinforcements, supply, ground support, air support, artillery support, leadership bonuses, or provide morale. Each turn (round) is divided into three parts; the action phase, the command phase, and the status phase. The action phase is where you move and shoot your miniatures. These rules are fairly simple, if you don’t move and shoot, you roll a number of dice equal to your firepower for the unit that is shooting. If you move and shoot, you roll a number of dice equal to half the firepower rounded up. Or you can assault, where you move into an adjacent hex and fire with full firepower, but the defender in this case gets to fire back. Assaulting is like fighting with everything you’ve got (guns, baynets, fists, ect). When squads (infantry) fires, they can fire standard or suppressive fire. Suppressive fire doesn’t remove figures when successful, but can pin, disrupt, or rout the enemy unit(s). If pinned, they cannot move or fire (unless there is an officer in the same hex), if disrupted, they cannot move or fire for two rounds, and if routed, the whole enemy squad is eliminated from the game (only infantry can be attacked with suppressive fire). Once your unit (squad or vehicle) moves or fires its weapon, you place a fatigued marker next to it so that you know it has no more actions this round (although it can still support an assault on an adjacent hex). Your squads may be specialized with a specialization token. Specialization tokens for the base game include engineers, medics, flamethrower units, and anti-tank units. Heavy weapon units include mortar and machine gun units. The heavy figures take two of the four holes in your squad base, which means you can have two heavy weapon figures, or one and two other figures. There are enough different armored units to make a WWII history buff happy.You may also activate a strategy card during action phase. These might be air support, ground support, artillery support, supply, or other action phase activated strategy card. In the Command Phase, you add up the number on the command objective markers you control and receive that many command tokens. To take a command objective marker, you must have either started on it, or have placed a unit on it and kept it there until the command phase. If you have captured victory objective markers, you receive that many victory points. You then spend your command tokens on cards, or on initiative for the next round. The Status Phase is where you remove all of the fatigued and pinned markers, place units on opportunity fire, transfer standard squad members to empty pegs in a squad in the same hex, and advance the round marker. Then the next round begins! This expansion gives you so many options. Six maps of the five beaches and the Cotentin Peninsula area where the American Airborne landed. The maps can be played as single maps with standard rules (plus some new rules from the D-Day Rulebook), and in sets of two (overlord style), three (by country), or as a huge six map game of Operation Neptune. Extra pieces and cards will be needed to play two, or more maps. The thinking is that you invite your gamer friends, who bring their own Memoir game pieces and cards. (Trouble is, I only have one friend that owns a copy, and he don’t play it very much). New rules included in this set include reinforcements, supported armor, and supported infantry, and a change in the rules on what a beach is. (What used to be called “shore” is now called “beach”). Pieces include badges, battle stars, control markers, reinforcement entry markers, and ship, and bridge obstacles. You may need expansions to play more than one map, check with the official Days of Wonder website to find out what else is needed. You will need either two copies of the base game or a copy of the base game and operation overlord for the cardboard counters. The breakthrough kit adds depth to your Memoir 44 battles. I always thought the standard boards weren’t deep enough. I also noticed that the breakthrough beach board also adds another hex row of ocean. I always wanted more for the destroyers to maneuver for Pacific Theater battles. This kit includes two double sided boards and a scenario booklet. Some of the scenarios will require other expansions to play, but between the included booklet and the official web site, you can still find enough to play with just the base game and breakthrough kit to keep you playing for a while. For added fun and options, add the breakthrough cards from the Winter Wars expansion. These allow extra units to move on most section cards, and the extra movement can happen in any section! For even more players and fun, get two breakthrough kits and put two boards together for a break-lord game (or over-through). The double sided boards have countryside, beach, winter, and desert maps printed on them. This expansion requires the base game, and the Winter Wars expansion is needed (not required) for the breakthrough command deck. Other expansions are required to play certain scenarios included in the scenario booklet. This game came out a long time ago, the seventies, I think. I remember seeing it in the store when I used to go buy expansions and miniatures for my Star Trek game. I used to stare at all the mech miniatures and want this game. But I was putting my money into Star Trek. Then in the eighties I met a man, who became my best friend. He had Battletech and we played. That was all it took, I was hooked. So I bought all of the RPG expansions after that, and every time I went to a convention, I bought another miniature. The game involves your Mech, a thirty foot robot controlled by your pilot. These robots have many weapons like lasers, autocannons, Charged Particle Cannons (PPC), rockets, missiles, and other weapons. It is a lot of fun and pretty easy to learn. It does have a lot of modifiers and record keeping during the game. I still love it, even though I don’t get to play as often as I used to like. They have brought out a new boxed game lately, I want it, but don’t have it yet. My old 80’s citytech boxed set still serves me well. The game mechanics are pretty straightforward. First all sides roll for initiative. The winner will move last after all other sides have moved one mech, vehicle, or infantry. After all other sides have moved one unit, the side with initiative moves a second unit and play continues. At any time, if one side has twice as many unmoved units as the other side, they move two units until they have less than twice as many units to move. Move continues back and forth until all units have moved. The side with initiative fires last, (since all fire in a firing phase is considered simultaneous, this doesn’t matter as much). If you have more heat generated by your weapons than you have heat sinks to absorb that heat, you have to decide if it’s worth “heating up” your unit. Vehicles have to have as many heat sinks as what their weapons generate. Infantry doesn’t deal with heat. You roll to hit, adding modifiers for firing unit movement, target movement, intervening terrain, terrain of target hex, and conditional modifiers such as damage, or whether the weapon fired is a pulse laser or not. If the roll to hit is over the target “to hit” number or equal, you hit. You then roll on the hit location chart to see where the weapon hit, and mark off circles for damage that weapon inflicted. I once heard at a convention that Richard Borg didn’t like the air pack rules because there was no way for ground forces to shoot at the airplanes. I also didn’t like that the air unit moved only one hex more than armor. Excuse me! A airplane moving at at least two hundred miles per hour only moves one more hex than armor moving at twenty to thirty miles per hour?! I also didn’t like the fact that, under these rules an air unit has to make an air check to fly over a minefield successfully! So I sat down and in an hour I created my own air rules. The first edition was two pages, but in time and after adding real ground interdiction and air interdiction rules, it is currently at six pages. It is available on BGG under air pack files. Although some players like to immerse themselves into the D&D theme of this game, those players will probably purchase the DnD meeples at some point to replace the cubes, others will play it for the mechanics. I used to play the D&D role playing games, but quit when I discovered tactical games. I don’t really care what you call the cubes, to me they are cubes. I like the worker placement mechanic of this game, and the idea of completing requirements to get points. This game really gives multiple ways of getting points, but you get the most points for completing quest. There are also points awarded for the amount of gold you amass, the cubes you posses at the end of the game, and for buying buildings that have point tokens on them. The only thing that disturbs me is that the more players you have, the fewer workers you get. With fewer workers, it takes longer to get the cubes and money you need to complete quests. The buildings are helpful, and you get bonuses for being the owner of a building that someone uses. The expansion gives too many points for completing quests, and makes it too easy to get cubes. I played against a friend, who completed three forty point quest, while I completed a couple of low point quests. The forty point quests are not really any harder to complete than the twenty point quests of the main game. This should have been much harder. This expansion allows up to eight players to play Memoir 44 and Memoir is played a whole new way! 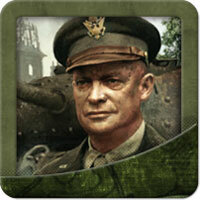 You can play with up to three players on a side, plus an overall commander in chief! The command in chief (cic) doles out the cards to the three field generals (fg), or he can slight a field generals and only give out one card if he wants. Field generals then have the option to roll to activate a unit, but if they roll a grenade, they have to take a causality on one of their units. Cardboard chits are used instead of a second base set (if you have a battlemap, otherwise you will need two map boards). The plus is that this expansion came with more dice, as the imprints tend to wear off the dice. (I wish I would have bought two sets of this one, just for the dice). This is the only way to play Memoir at a convention! There are more “official” overlord scenarios that come out with each expansion and campaign book, and hundreds of fan created overlord scenarios available online, you will never run out of scenarios that you and your friends can play! This is an easy game to learn, and to play. There are many expansions, but you can play many scenarios right out of the boxed starter set. Some have said that this is not a social game, with the overlord rules, downloadable from their website, up to eight people can play. So this game is very social! Scenarios exists online that are either “official” or from fans, and there is a scenario editor! This is one of my all time favorites in the game closet, and I have every expansion except the bag! There are many helpful fans on the Days of Wonder forums to answer your questions, and sometimes the designer of the game answers questions! There is a HUGH level of support for this game, more than many games I have played. There is a facebook page devoted to it. And it has many fans worldwide. What is not to like? The pieces are nice, the packaging is great, and the playability is not too hard that kids couldn’t play. 1. Why not all the nations miniatures for each unit type, i.e. not just an elefant to represent tank destroyers, but an American M-18 and an elefant? 2. I don’t know what type of plastic they used, but paint has a hard time sticking to these miniatures. You need to fix the paint after the paint dries (with a sealant spray). 3. The scale is off on the new miniatures so that the newer armor pieces are not to scale with the original game armor pieces, and the same is true of the infantry pieces. I remember playing the original A&A so, while at a convention I saw a chance to own this version, I went for it! I like it a lot, love the new sculpts and how they reflect each countries actual units. (The German tanks look like Tigers). It is a little complicated as boardgames go, but not really more than the original. The submarine rules are a little different than the original. I wish they would have kept the paper money instead of using the token to show how many IPC’s each nation has. I thought this game was totally worth it, and I would recommend printing out the nations cards found on their website! I don’t think radios were as bad as the game makes them seem in world war two. I use two dice to establish contact. Otherwise it seems that most of the time you can’t use your air support or artillery cards. My wife and I play this game a lot. We like the back and forth nature of the flow of cash when there are two players. We don’t remove any cards. But we try to wait to lay down that property that completes a high value color set until we can defend it with “just say no” or “deal breaker” cards. Money isn’t the only thing that will go back and forth on two player games. Properties are stolen a lot with sly deal and forced deal cards. I lay down my lower value properties first, especially if I don’t have a stack of cash to pay for those high rents or the card that makes you pay five million. Use your last turn to lay down the completing three properties to win. If you are just looking for the harbormaster card, you don’t need this expansion. You can find a jpeg of a harbormaster card that matches the older style longest road and most armies cards online. I printed it out and pasted it to cardboard. But, this expansion is worthwhile if you are looking for other ways to play your favorite game. I gives seven scenarios and other options (like harbormaster, and using cards instead of dice) to play. My favorite is the title scenario, Traders and Barbarians. I also like the expanded rivers scenario (expanded upon the previous rivers add on). My wife really likes the fish scenario because even if you are on bad numbers that don’t roll too often, you can turn in fish tokens for roads, resource cards, and development cards. This scenario is better than the previous add on in that it also comes with a “lake” hex to replace the desert hex! The Winter Wars expansion includes a Breakthrough Command Card deck. These cards are a little different than the standard Command Card deck. For one thing, the section cards have included “on the move” orders. These orders allow you to move units on ANY section (move only,NOT attack).These extra movement orders are great on the larger breakthrough boards. Also, the medics and mechanics card is a little different, as is the card that gives off-board artillery attack, that allows a star rolled as a hit. This expansion is the perfect companion to the breakthrough kit. I’m going to get in a game of Tide of Iron the Normandy expansion. I’ll try to play a game of Lords of Waterdeep with my wife. We’ll end up playing the settlers expansion, Traders and Barbarians expansion (her favorite). I played Ticket to Ride:Europe on Friday, Tide of Iron: Normandy expansion yesterday, and I played Monopoly Deal today! All good games! Games Added – Holiday Edition! My favorite winter games are Tide of Iron: The Fury of the Bear and Memoir 44:Winter Wars. What’s wrong? Wargames can be winterized too! We played Settlers of Caanan, Settlers of Catan and Monopoly Deal Yesterday. Today I played Battletech. I played some Classic Battletech on Friday and Saturday. I played Monopoly the Card Game this morning already. I am looking forward to playing Lords of Waterdeep later this afternoon. Played Tide of Iron so far yesterday and today. Hope to get in some Lords of Waterdeep this weekend sometime. I have played Settlers of Catan and now I am going to play Memoir 44. Tomorrow or later we will play Tide of Iron. There are scenarios, help sheets, and other resources for this expansion on boardgamegeek.com. Just search for Tide of Iron and look at the sites for the different expansions. Go to the files section to download scenarios, help sheets, and more content. This expansion is great with detailed plastic miniatures, weather rules, leadership decks, and more. There is an FAQ available for this expansion on boardgamegeek.com. It also features errata for the rulebook. There are also rules on 1A games website, 1agames.com and scenarios for download. I don’t think the sabotage cards adds much to the game except the Russian partisan card. From what I see after downloading the new rulebooks, great job! I feel like TOI is in great hands. Looking forward to that Pacific expansion you talked about on BGG.com! There are many scenarios from me and other Memoir fans. There is another page that has “official” scenarios. My first impression of the game is that it is a little between Squad Leader and Memoir 44 in it’s complexity. I like that in a game, I don’t want it to be so easy that it’s abstract, like Memoir 44, yet I don’t want it to be so complicated that I have to forever look everything up, like Squad Leader.